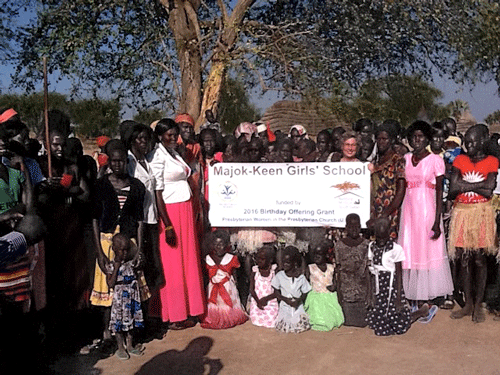 Editor’s Note: Linda Werts, PW moderator, Park Presbyterian Church, Newark, NY, was present for the groundbreaking ceremonies for Majok-Keen Girls’ School in South Sudan. This school is being built with funds from the 2015 Birthday Offering of Presbyterian Women. 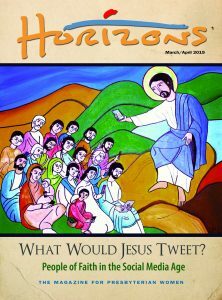 (See the January/February 2016 issue of Horizons magazine for information about the Birthday Offering.) Linda sent this photo and note on the day of the groundbreaking, January 8, 2016. So happy to be part of the ground breaking ceremonies today for the Majok-Keen Girls’ School in Mayen Abun, South Sudan! Thank you, Presbyterian Women. PW’s support for the Building Minds in South Sudan (BMISS) project, through the Birthday Offering grant, was highly praised by community leaders, students, Sebastian Maroundit [director of the BMISS program] and myself. Improving the lives of girls through education is a wonderful accomplishment and will bring hope and a bright future to each of these girls. I couldn’t think of a better way to spend my day! 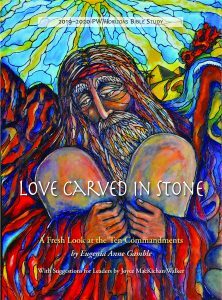 Dancing, speeches, presentation of solar lanterns and shared fellowship with truly appreciative sisters and brothers.